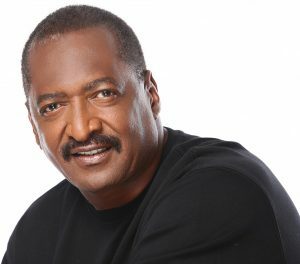 Mathew Knowles, Ph.D is the Founder of Music World Entertainment (MWE), which has offices in Houston and New York City. MWE is one of the world’s leading music and entertainment conglomerates, with record sales exceeding 300 million worldwide. promoting award-winning artists. Through Music World Entertainment and Artist Management, he has served as executive producer for more than 100 award-winning, platinum and gold albums in multiple genres, including pop, R&B, gospel, dance, and country, as well as soundtracks and special-themed projects. Knowles is a 1974 graduate of Fisk University, where he earned both a Bachelor of Arts degree in Economics and a Bachelor of Science degree in Business Administration. He was bestowed with the honor of Doctor of Humane Letters from his alma mater at the University’s 2008 Commencement Ceremony. Knowles possess an MBA and Ph.D. in Strategic Planning and Organizational Culture, from Cornerstone Christian Bible College, and holds a professorship at Texas Southern University, where he teaches both undergraduate and graduate level courses on the entertainment industry in the School of Communications and also Entrepreneurship in The School of Business. He also has been a popular keynote speaker and guest lecturer at colleges, universities and various organizations throughout the country. This includes Berklee College of Music which he was the keynote speaker for The Formation of a Star…the DNA of Achievers and panelist for The Evolving Music Industry seminar, along with other speaking engagements at Rice University, University of Southern California, The Learning Annex, Management Leadership for Tomorrow, Billboard Music & Money Symposium, The Power of Diversity Leadership Panel Discussion, E Women’s Network, Circle of Sisters, Revolt Music Conference and numerous others. Knowles is also the author of the #1 best selling book The DNA of Achievers: The 10 Traits of Successful Professionals. As a self-made entrepreneur who came from a small town of Gadsden, Alabama and became the top salesperson at Xerox Medical System, then the world’s top entertainment managers and executives in the music industry, he highly enjoys motivating and educating others by sharing his knowledge and experience.